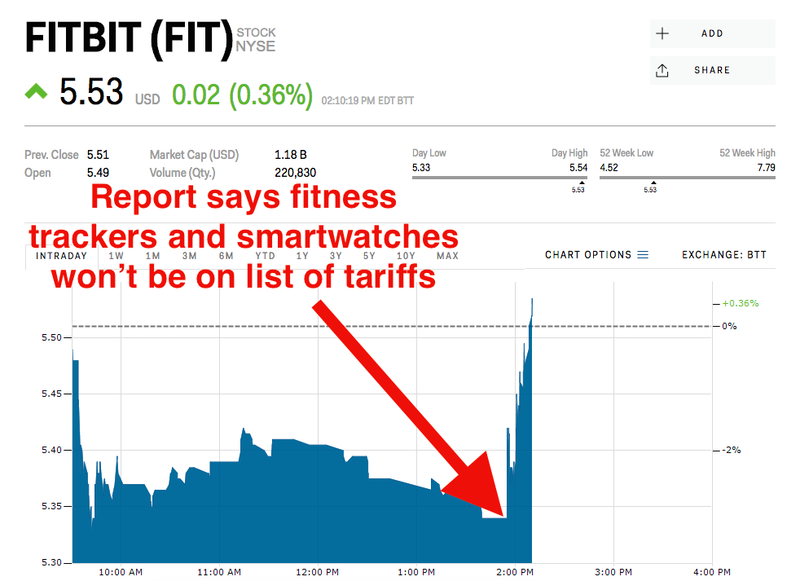 Fitbit shares erased their losses after a Bloomberg report said the US won't include smartwatches in the next round of tariffs. The Asia-Pacific market was a bright spot for the company. Watch Fitbit trade in real time here. Fitbit shares erased their losses after Bloomberg reported the US won't include smartwatches on the list of $200 billion worth of Chinese goods that will be hit with upcoming tariffs. Shares were down 3% before the news.